So you have concrete to break up. How are you going to go about it? In fact you could be doing anything from removing an unwanted path to knocking a hole through a wall or even removing wall tiles. Whatever the breaking job Cherry & White Tool Hire in Gloucester are able to hire you the right tool for the job. Starting with heavy duty tools, we have a petrol driven hydraulic breaker pack and gun. This is ideal site work where there is no power available and you need some heavy duty breaking done. As with most of our breakers this machine is supplied with a range of bits to suit the material and job you are doing. The heavy gun is designed to reduce vibrations whilst making light work of the most reinforced of concrete. If you have power available we can hire you a heavy duty electric breaker. These are often referred to as a Kango or jack hammer. This tool has a similar breaking force to our hydraulic breaker with the added convenience of electric power. The breaker comes on a trolley so you can move it around easily and is also heavy enough to get through reinforced concrete. Of course not all jobs require such a heavy piece of equipment. We recently hired one of our breakers to a customer taking down a chimney. For this job he needed something light enough to be able to carry up to the job and then hold at waist height but also powerful enough to take the chimney down. For this we supplied a demolition hammer. When you pull the trigger on these clever tools nothing happens until you push it against the work piece. 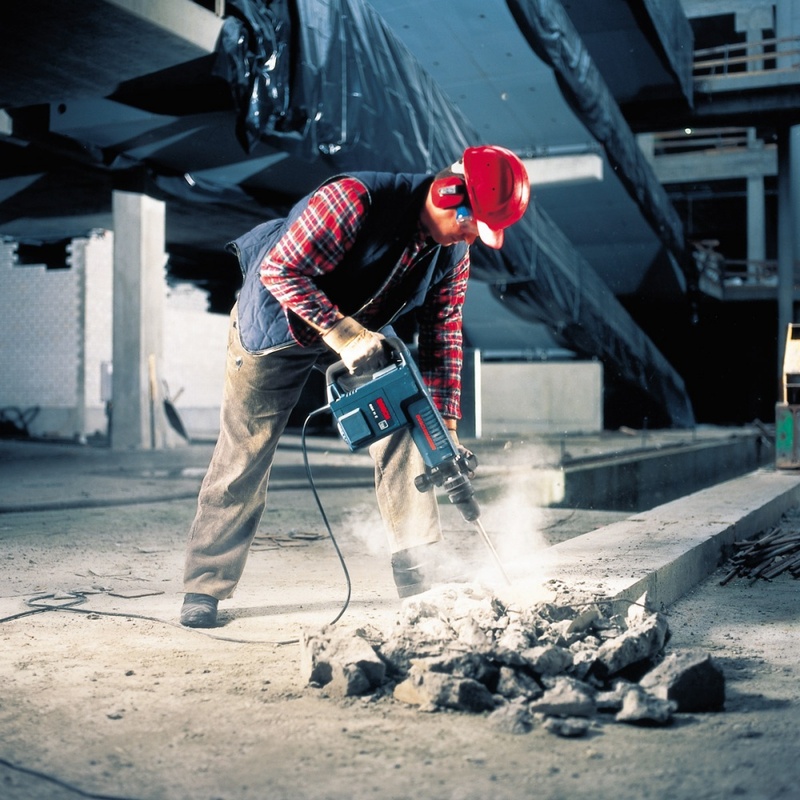 The tool then delivers a fast hammer action, breaking through concrete and other tough materials. Again a range of bits are available to suit the job you are doing. These tools are ideal for taking down interior walls and other similar tasks. For lighter jobs, such as removing tiles or chasing a cable into a wall, we would suggest you hire an SDS rotary hammer drill. With this tool you can select hammer only and it can then be used for a range of breaking and chiselling jobs depending on the bit used. If you are still not sure what would be best for your job then please just ask. You are welcome to come into our store in Gloucester or just give us a call. We are here to help and are always happy to advise. We look forward to seeing you here at Cherry & White Tool Hire in Gloucester very soon. Why hire tools instead of buying them? Be Ready For The BBQ’s & Garden Parties This Summer …. Planning On A New Patio This Summer?